Marie Denee of The Curvy Fashionista recognized the potential in blogging and seized every opportunity that's come her way. Now she's well on her way to building a new media empire centered around her passion for plus-size fashion. Marie understands the importance of branding in the crowded online space, and she graciously answered a few questions about how she created her own space. I have been blogging for three years and a few months now! I started my blog as first an outlet for my findings while in grad school. 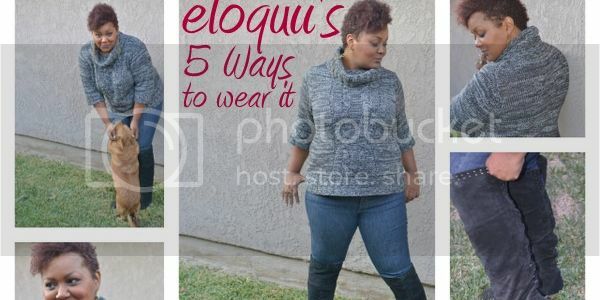 I knew that blogs were going to be the next best resource or outlet and I used this to show and share all the jewels I found in plus size fashion. It was more of a gathering place of resources! Do you blog full time? How did you make that transition? I do, I do blog full time! It started as a side hustle, but then… Interestingly enough, I lost my job on Friday the 13th of March 2009. My blog was just starting to pick up and I was getting my little groove of things. Having a great support system, my friends and family did not let me wallow in my woes. I threw myself into my blog- full speed ahead and have not looked back since! Your name is very closely associated with your brand. How did you make that decision? How has blogging shifted the fashion world's approach to plus size fashion? You know what? Blogging and social media both have given the plus size woman a voice to speak up and out about what we want, need, and love about what is available to us. Beyond that, blogging has given the plus size woman an outlet and resource to commune with other like minded Fashionistas! I feel that through blogging, designers, media, and Fashionistas have a new found approach and respect for the coming together of plus size and fashion. Blogging has helped shed those notions and stereotypes that have oft shrouded the plus size woman. She is confident, bold, daring- all things that for the longest, plus size women were never celebrated to be. You've witnessed the explosion of the blogosphere. Is the space getting too crowded? Never! I think the diversity brings about newness, diversity, a freshness, and a development of ideas to push fashion further! Your digital brand has afforded you many offline opportunities. Which have been your favorites? Ahh… I have to say that working with Chevy as their Fashion Cruzearati has definitely been a life and game changer for me! This was the first time that I realized the potential of my brand and that really gave me credibility to other brands! Another moving moment for me is being on the production team of Full Figured Fashion Week which takes place in New York and Los Angeles! (www.fffweek.com) Through the mentorship of Gwen DeVoe, I have had the opportunity to work with and meet some really amazing and innovative women within the plus size fashion community! What's the best thing your blog has given you? Freedom to be and do what I want and how I want to. I have been working since the age of 15, playing and adhering to the rules and limitations of others. I think even beyond freedom, it has given me courage to think bigger, dream greater, grow further than I could ever imagine myself to! I have learned just how strong I am. You know, you never know your own strength until your back is against the wall… this journey as a blogger has afforded me the chance to grow as a woman, friend, advocate, lover, and sister in ways I could have never thought. I am beyond grateful. Though yours is not a "black blog," how has support from African American women helped you in your bogging life? Ohhh… where would I be without them? Seriously, dubbed my Fairy blog mothers, I have had the pleasure and grand opportunity to look to Gwen from FFFWeek.com, Kathryn from The Budget Fashionista, Patrice from Afrobella, Nichelle from StyleMom, and Claire from FashionBomb, all of whom who have selflessly given me advice, direction, insights, and feedback that I honestly know have shaped and developed me to where I am now! They give me the strength, support and moxie to step out! I think in business and blogging, it definitely takes a village! Because of this, I make sure to humbly pay it forward! What advice would you give to someone looking to start a blog? Such an open question… I would have to say to be honest as to why you want to start your blog, find your own voice, do your research, and have fun. I cannot stress enough to have fun and enjoy your life. While I am a business, have obligations, and responsibilities, I try my darndest to have fun! Visit The Curvy Fashionista and follow Marie Denee on Twitter. Join the Black Girls Blogging community to connect with other bloggers and learn how to blog better!